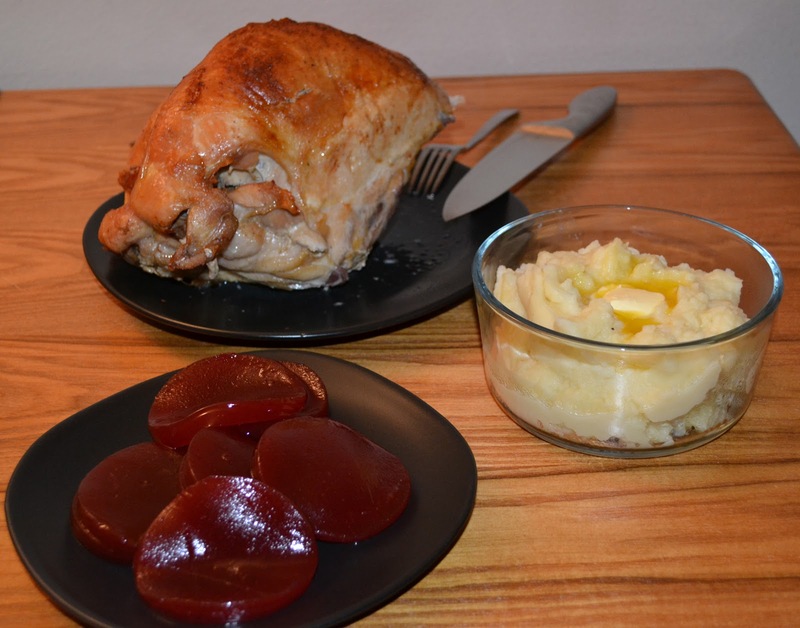 I have to admit, I love Thanksgiving and Christmas time, because no one looks at you funny if you're buying a turkey breast, cranberry sauce (jellied, of course), and canned pumpkin. I'll take it in stages...it's going to be a long day so I usually start early and work from the end to the beginning of the meal. 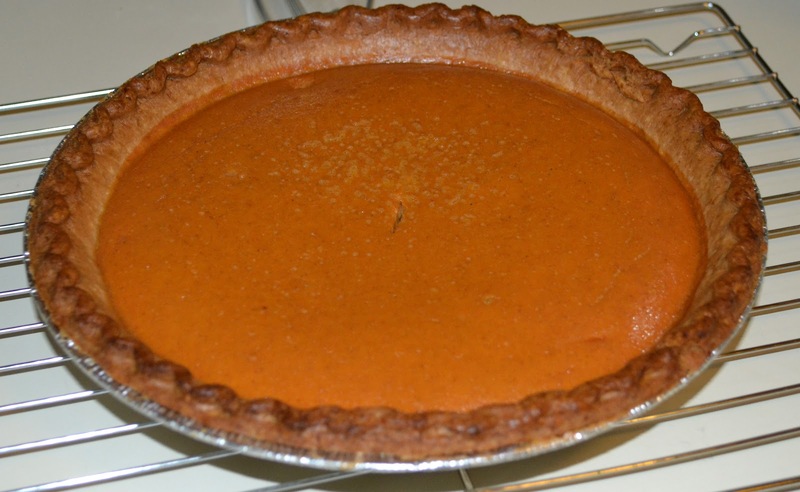 To start it out, let's begin with the pumpkin pie. 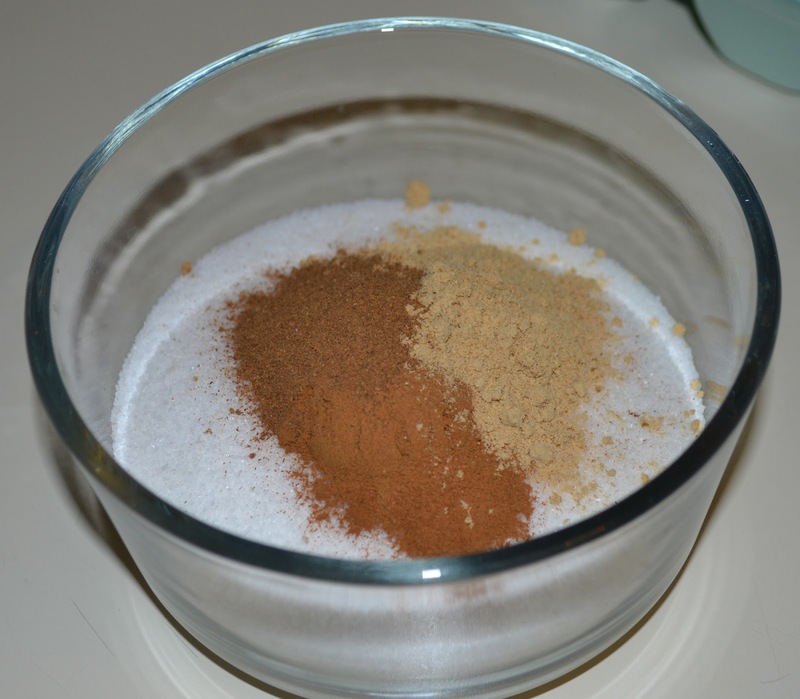 In a small bowl, mix together the dry ingredients (sugar, cinnamon, ground cloves, ground ginger, and pumpkin pie spice). Set the bowl aside. 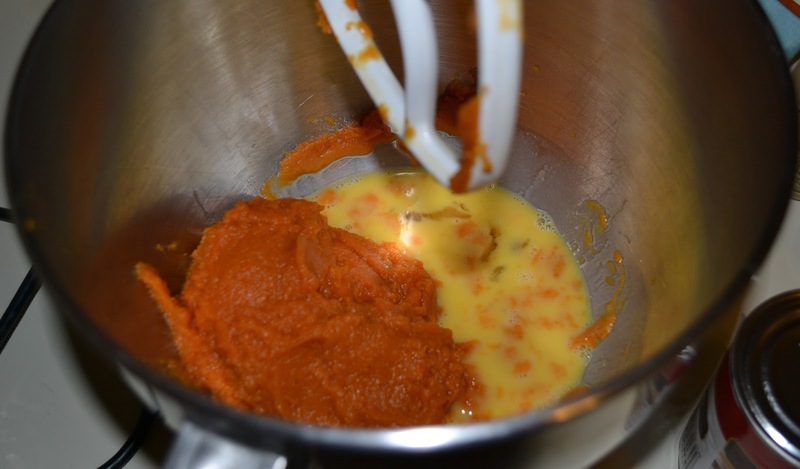 In a large bowl, beat the eggs then add the pumpkin, blending the mixture well. 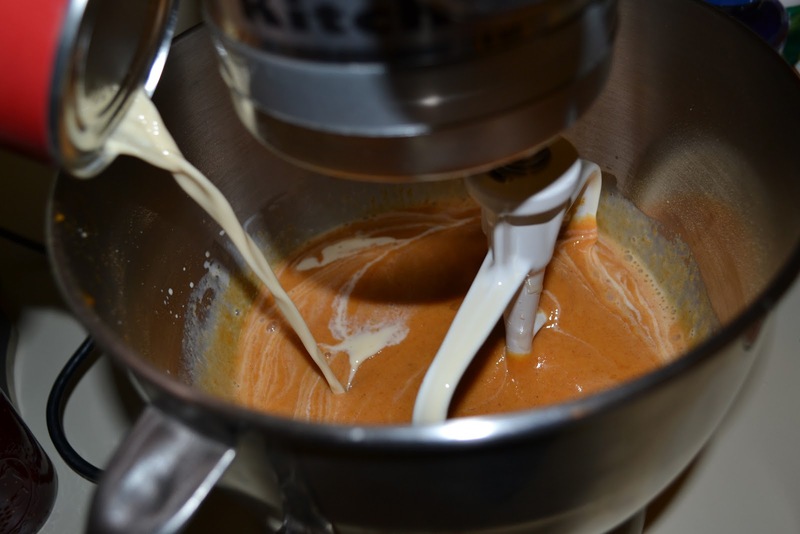 Next, add the dry ingredients, before you add the evaporated milk and blend everything well. I used two pie shells because I'm spastic and tend to spill the filling when I put it in the oven. Place it in the oven. Cook at 425 F for 15 minutes. Turn the temperature down to 350 F and continue to cook for 45-55 minutes or until a knife stuck in the center of the pie comes out clean. 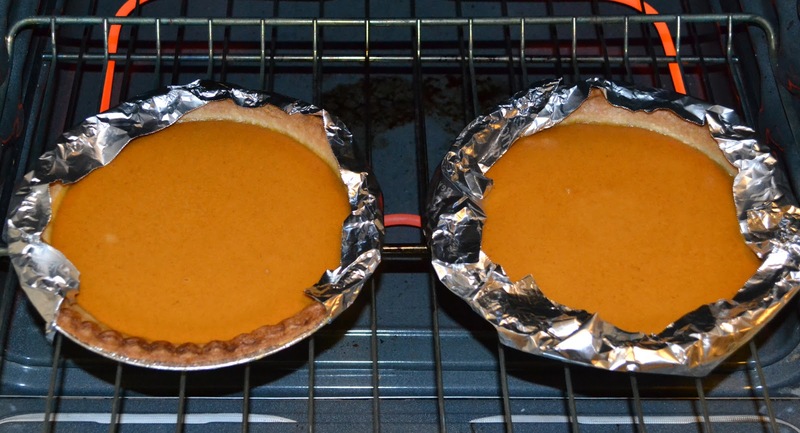 Remove the pie(s) from the oven and allow them to cool on a rack. 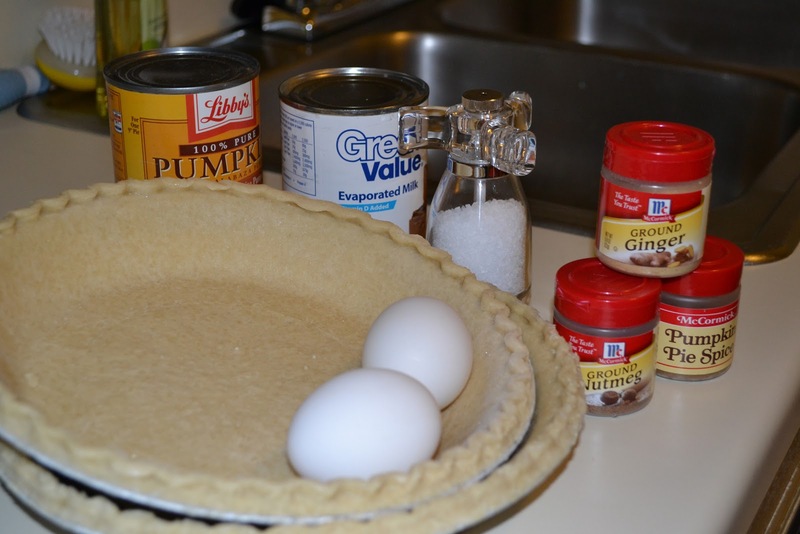 Once cooled, you can refrigerate the pies until you're ready to serve them after dinner with a dollop of Cool Whip or whipped cream on top. Next, the turkey breast. 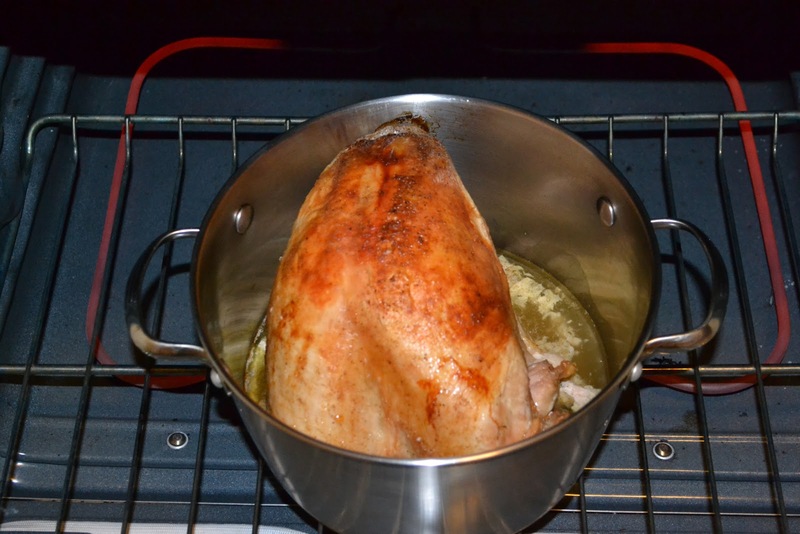 I bake my turkey in a pot that can be used in the oven. I don't do this because I'm crazy, but because I make soup with the turkey carcass. Means I don't make as much of a mess, and I only have one big pot to clean at the end of the night. 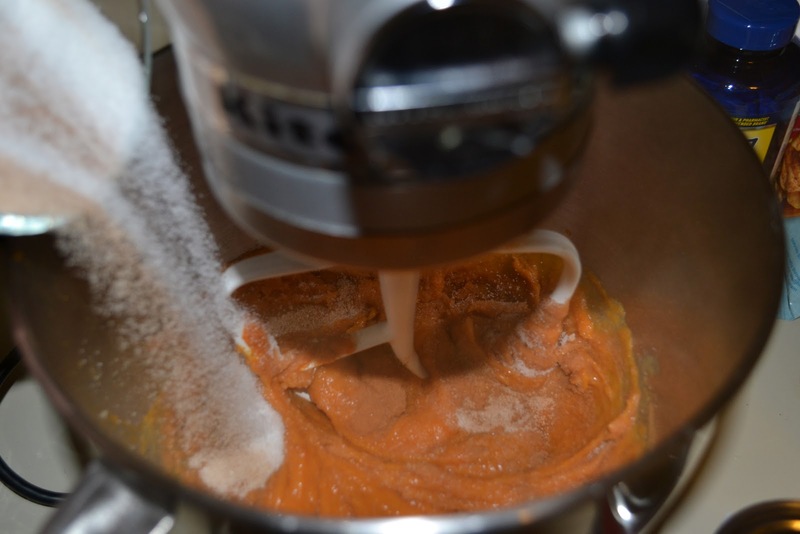 Leave one rack in the oven on the lowest level and preheat it to 425 F degrees. 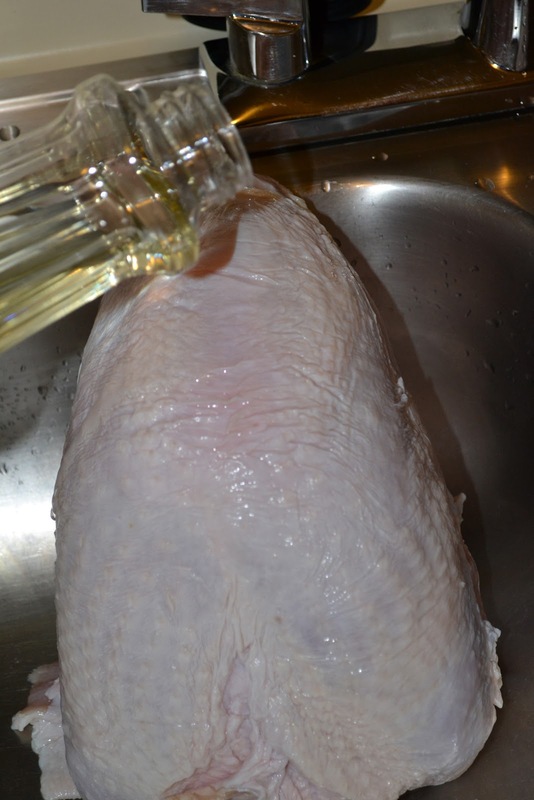 Rinse the thawed turkey breast, trimming away any excess skin or fat that you don't want. Make sure you remove the gravy packet that usually comes with the turkey as well as the giblets and neck if you're baking a whole turkey. 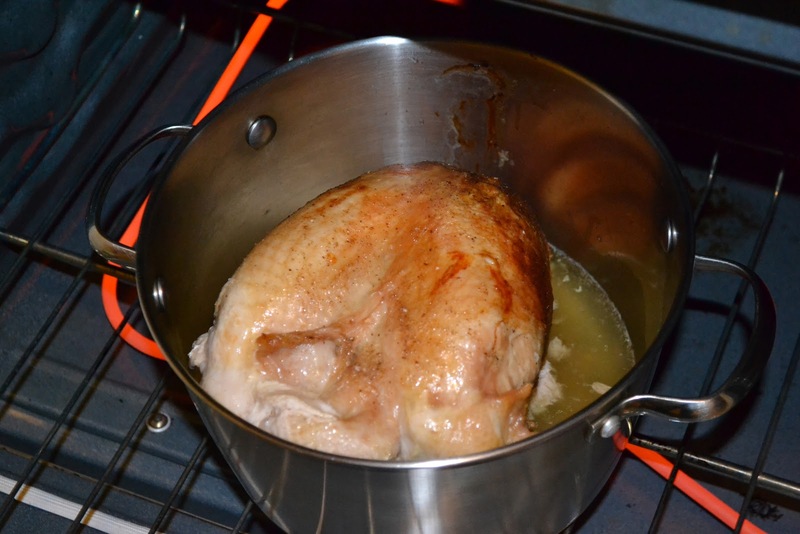 Just be sure to check that your pot can hold the entire turkey without having to cram it in. 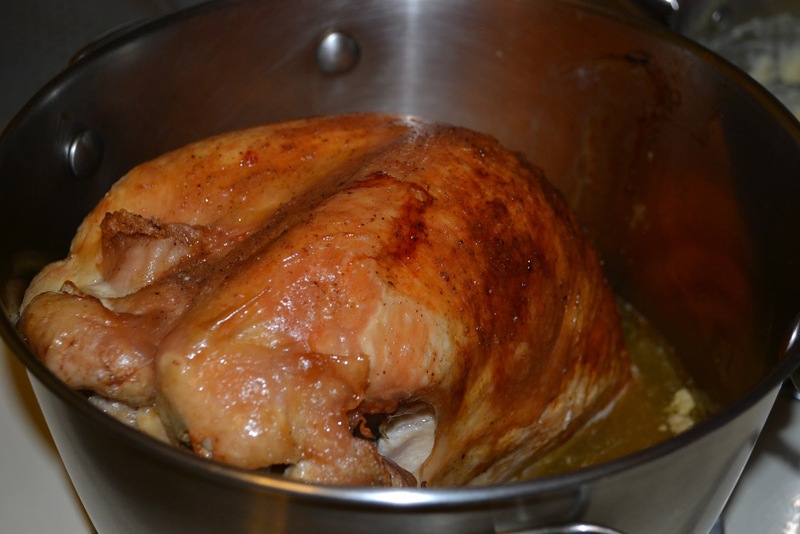 After you've rinsed the turkey, rub the oil over the skin of the turkey. 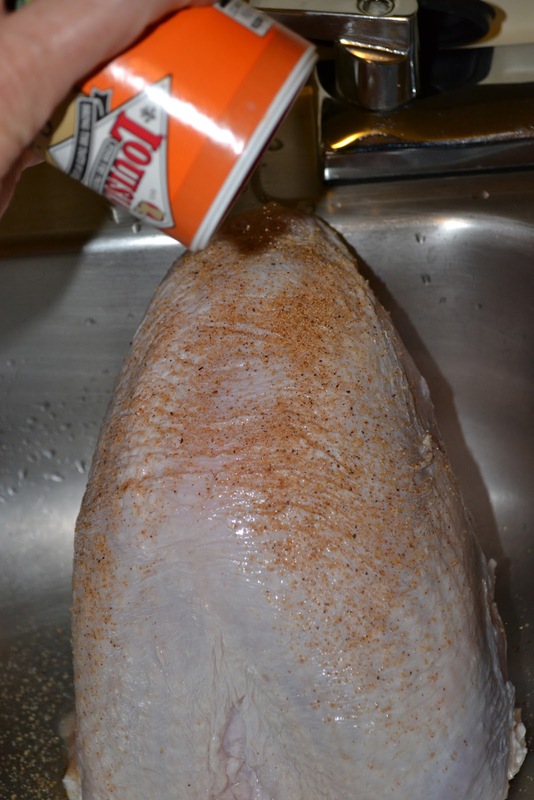 Sprinkle the spices onto the turkey, before you put the water into the pot. Put just enough to cover the bottom so the turkey doesn't burn. 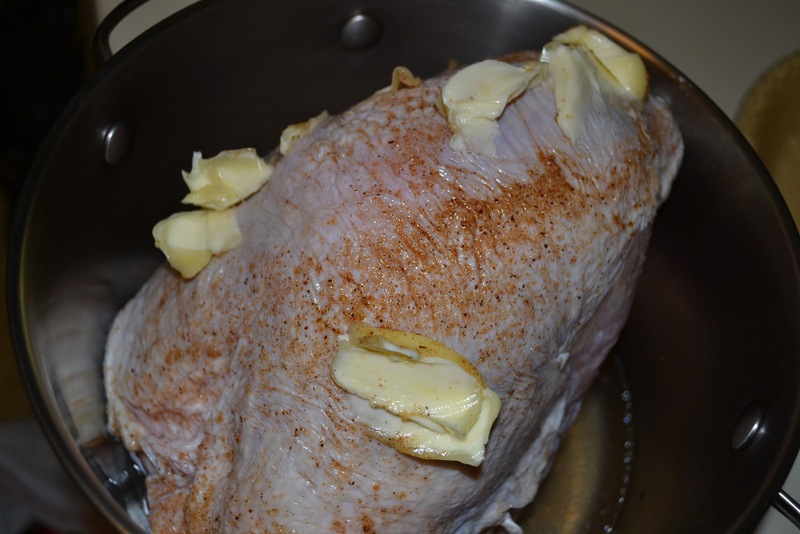 Place the turkey into the pot with the thicker part of the breast toward the bottom of the pot, this will allow the meat to remain juicy after it's finished baking. 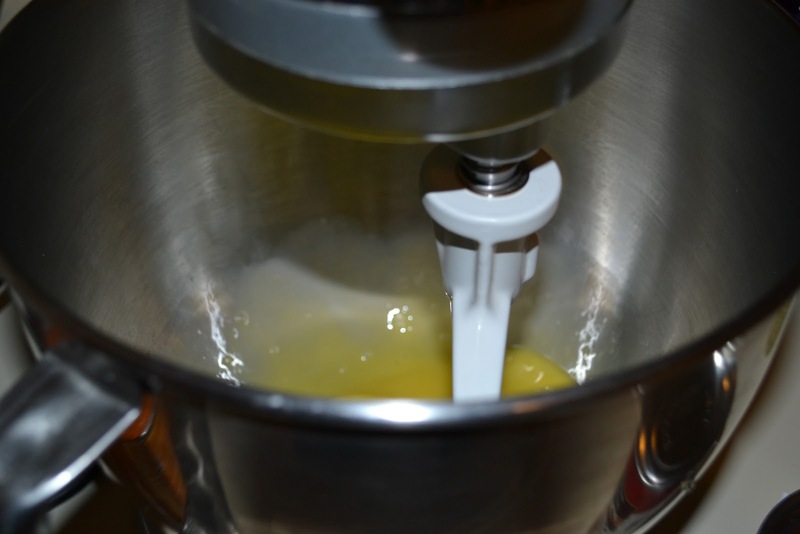 Press the pats of butter onto the turkey, one near the top, and one or two on each breast side, and even one or two in the center of the back, before you slide the pot into the oven. Bake the turkey for half to three quarters of the time listed on the packaging, making sure to baste the turkey thoroughly every 15 to 30 minutes. 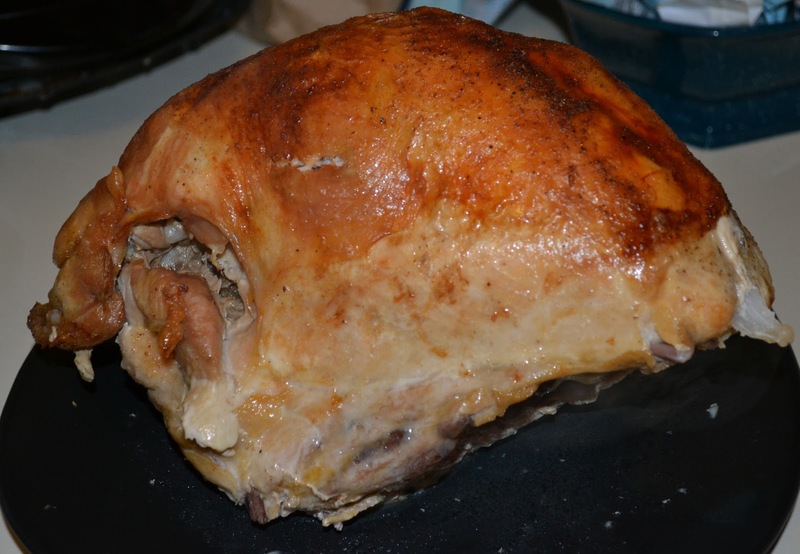 About three quarters of the way through the cooking process, pull the pot from the oven and carefully turn the turkey over so the thicker part is at the top, so it can brown. 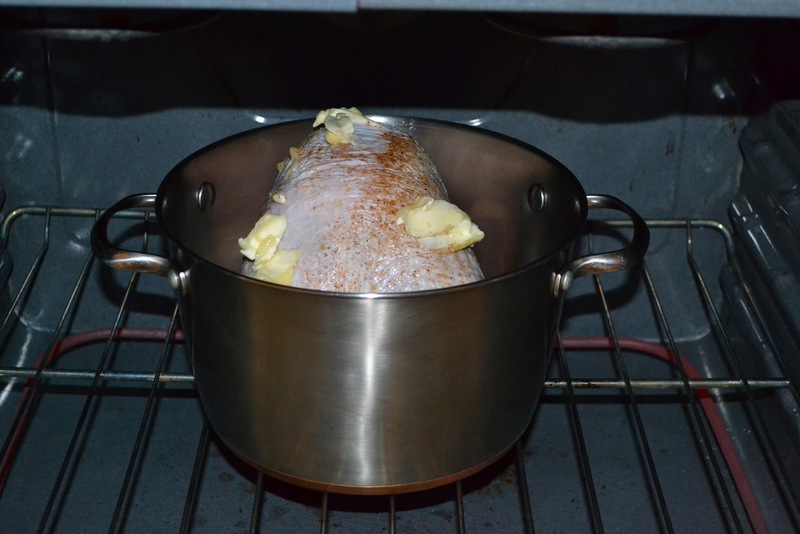 After the turkey has reached the required internal temperature listed on the packaging, pull it out of the oven and remove it from the pot and let it rest on the plate/platter so the meat can finish cooking. 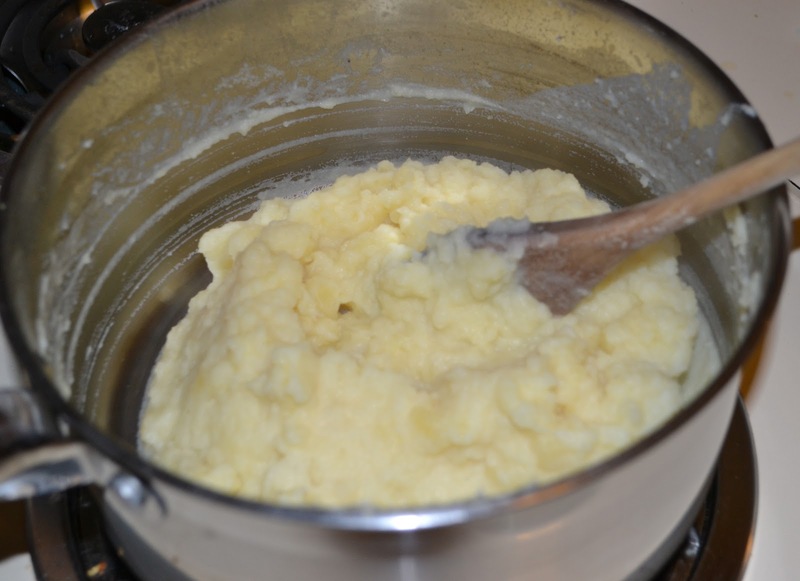 The mashed potatoes come next. 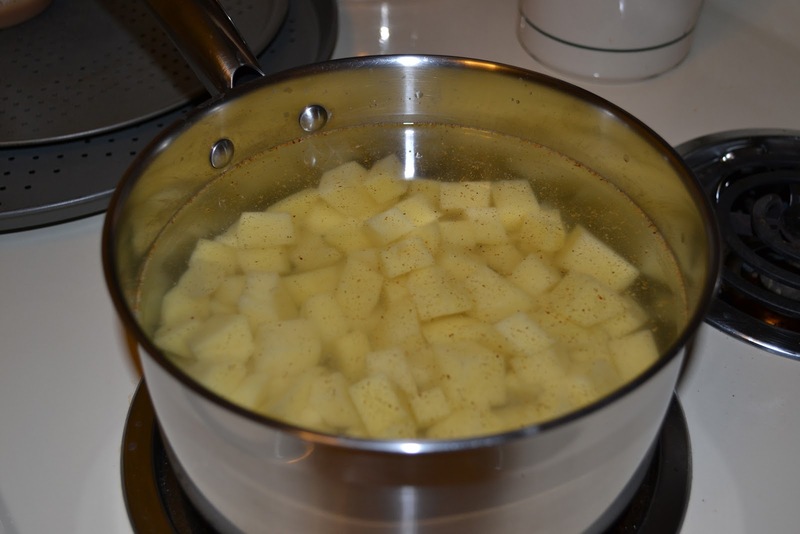 I usually start the potatoes while the turkey is browning in the oven at the end of its cooking time. 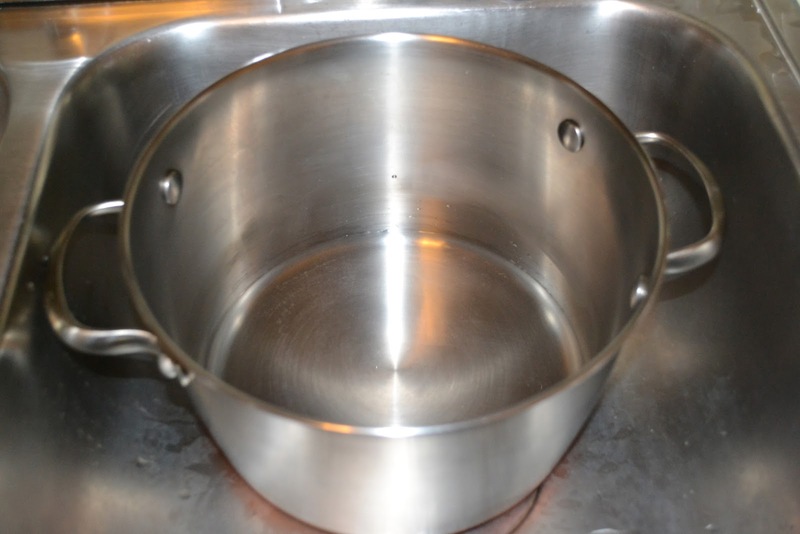 In a medium pot, bring the water to a boil with salt and seasoning. 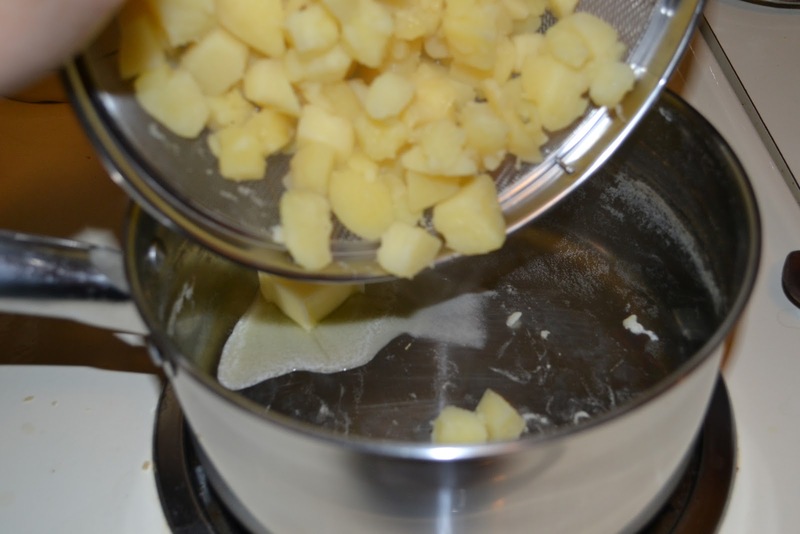 Peel, rinse, and cube potatoes then add them to the water. 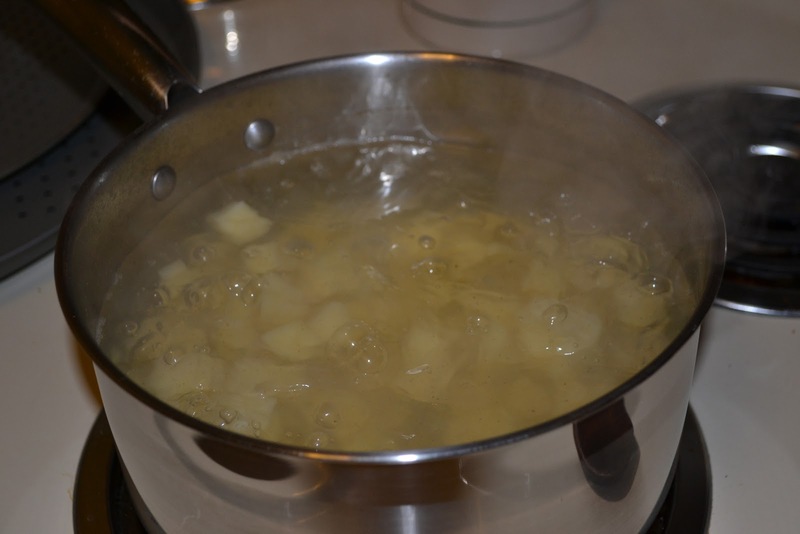 Boil the potatoes until soft; drain and return to the pot on the burner. 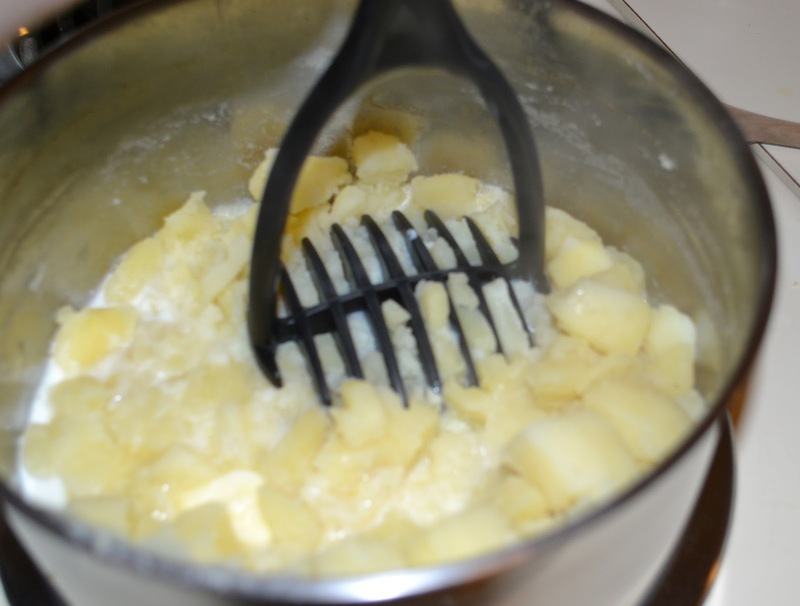 then use a potato masher to smash the potatoes until they're smooth. The cranberry sauce is easy. 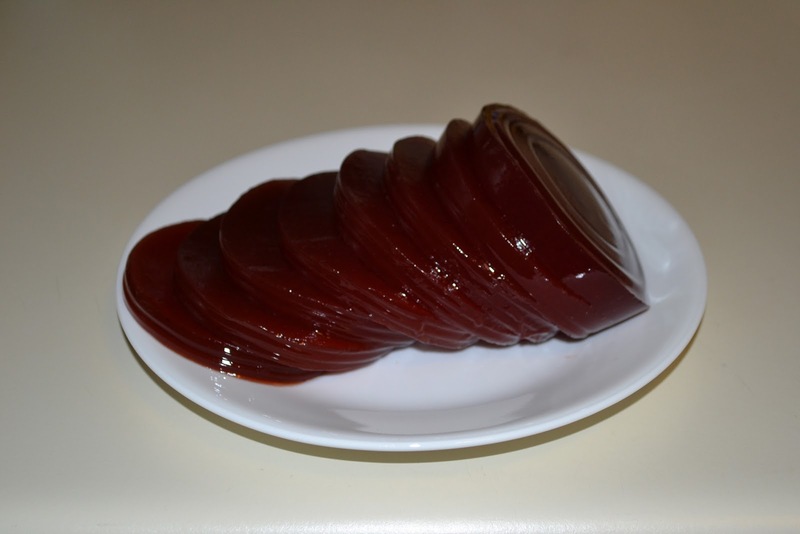 After chilling the can in the refrigerator over night, open the can, shake the jellied sauce onto a plate and slice with a butter knife. 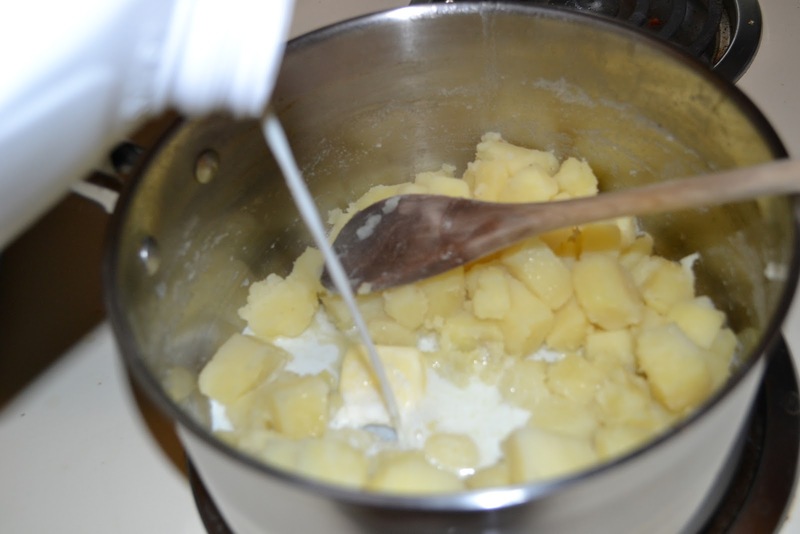 By the time the potatoes are done the turkey should be ready to be cut. Feel free to take a healthy serving of each.